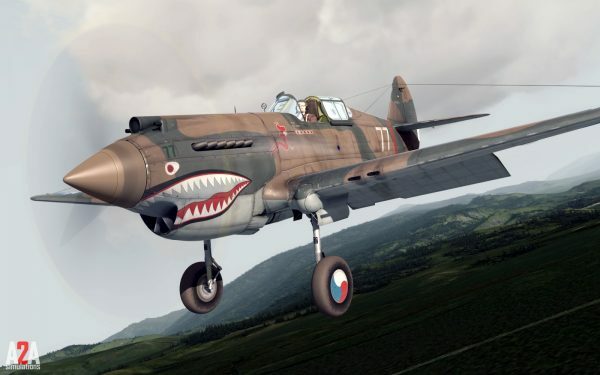 Een echte ruwe ”Warbird” die mij altijd aan de komediefilm ”1941” doet denken is de stoere P-40 Warhawk, Deze kist is zojuist door A2A Simulations uitgegeven voor P3D V4, voor alle info en/of aanschaf, klik hier. 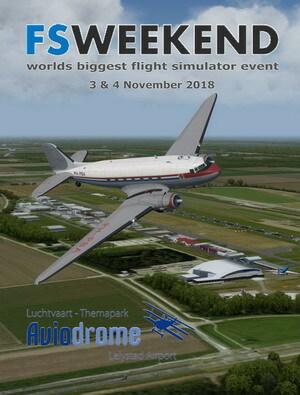 De prijzen vind ikzelf wel wat aan de hoge kant, helemaal voor de P3D V4 Pro versie, De prijzen zijn: P3Dv4 ”Academic” 49.99 USD en P3Dv4 ”Professional” 79.99 USD. Part of the secret of the P-40 was in it’s rugged Allison engine and its high dive speeds. Some squadrons pushed it’s capabilities well beyond its official limits in combat. This high power matched with an air frame that held onto energy better than the Japanese counterparts, meant an experienced pilot could command the fight. He could decide when to engage and when to escape. When we read about Middle East and Australian squadrons over-boosting their Allison engines, we couldn’t wait to Accu-Sim this bird and experience it ourselves. This resulted in us digging even deeper into not just the function of this engine at such high power levels, but the sound.Additionally, other systems like the P-40’s unique hydraulics required us to take our Accu-Sim to yet another level of detail. You may notice when a fighter raises it’s gear, the gear sometimes comes up at different times. Instead of us simply and without condition, telling the aircraft to raise the gear one leg at a time, we decided to dig deeper and create the entire underlying system, allowing whatever behaviours be the result of actual systems at work. In fact, this is the philosophy behind Accu-Sim from the start. Build it right, and enjoy the experience. When looking to the construction, the newest modelling and advanced material-making techniques results in an aircraft that you can just spend not just minutes but hours admiring the beauty of the shape and look of the aircraft. Together, with professionally recorded sounds and physics, the end result is the sense of having a complete, real, majestic, raw, flying machine stuffed inside your computer. We hope you enjoy your new beautiful bird, and hope you learn to fly and treat her well. Zeker voor een addon zonder complexe systemen zoals de PMDG kisten. Luilak! 😉 Nee hoor, Ikzelf denk er soms net zo over.